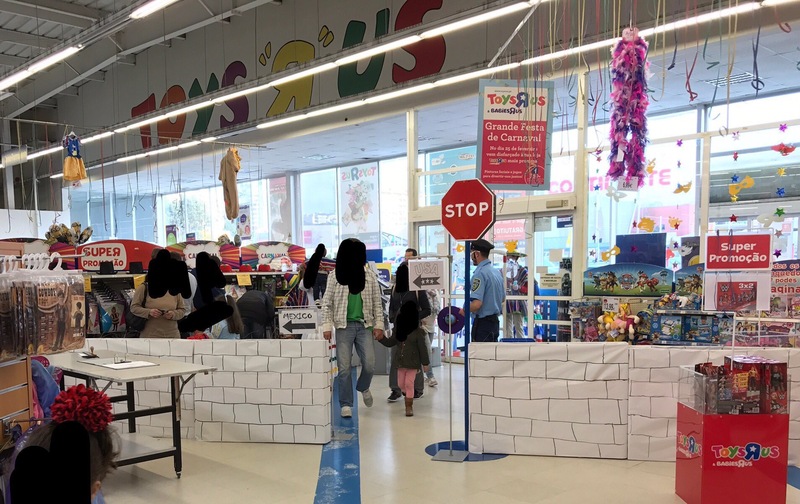 Toys R Us Portugal Features Border Wall, other ‘Typically Mexican’ Fun Toys and Stuff! According to archfamous Mexican professional footballer Miguel Layún, Toys R Us Portugal has a dedicated Mexico section, where kids can do so many fun things, including getting acquainted with Trump’s Border Wall. This entry was posted in Awkard homages, Marketing & Advertising, Mexico, Stupid propositions. Bookmark the permalink. 3 Responses to Toys R Us Portugal Features Border Wall, other ‘Typically Mexican’ Fun Toys and Stuff! As a Portuguese person, living in the city right on the other side of the river that separates Gaia (where this happened) and Porto (my city), I can only feel ashamed for this “joke”….anyone who had this “brilliant” idea should be fired! Carnival doesn’t make space for any kind of stupid and not funny at all “jokes”! Idiotas están en todas partes.